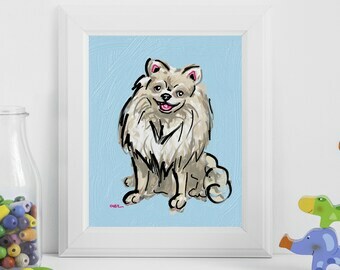 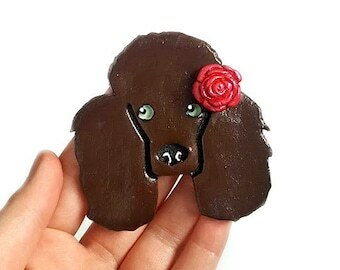 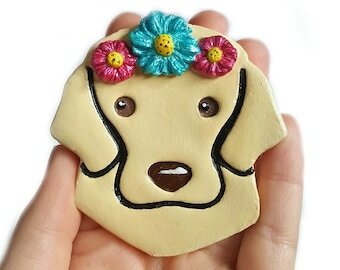 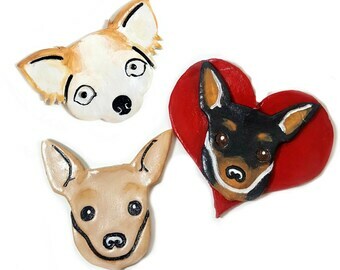 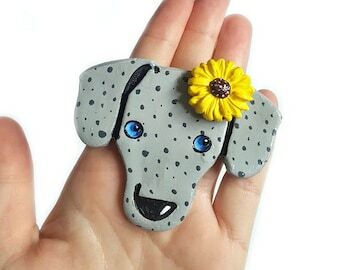 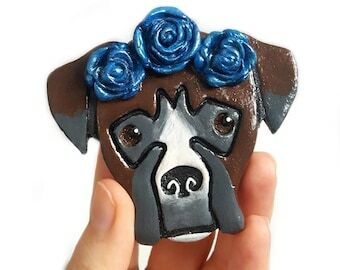 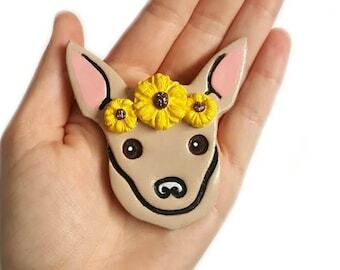 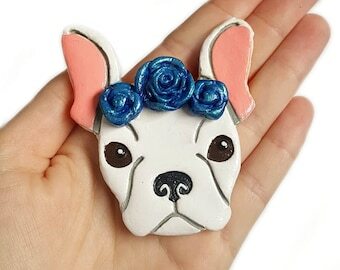 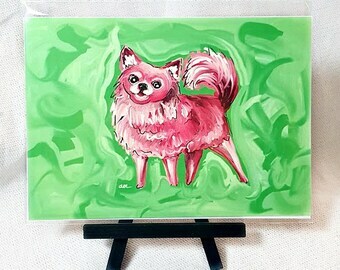 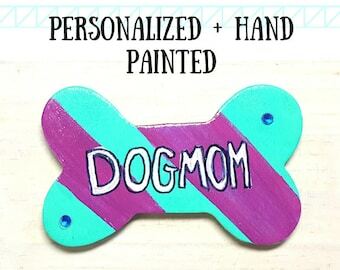 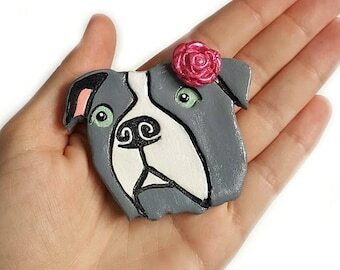 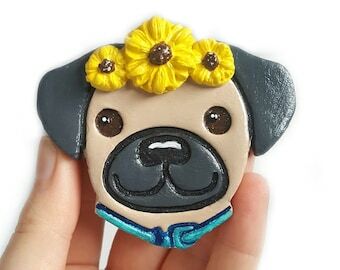 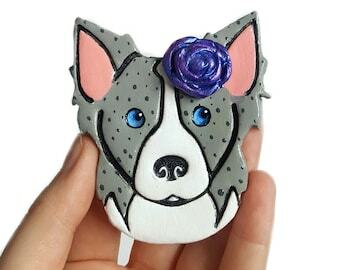 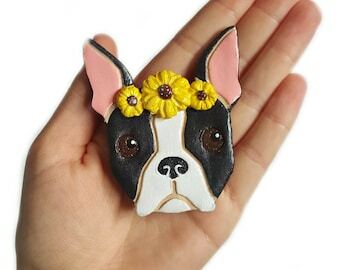 Surprise the Chihuahua lover in your life with this hand-sculpted & painted dog fridge magnet! 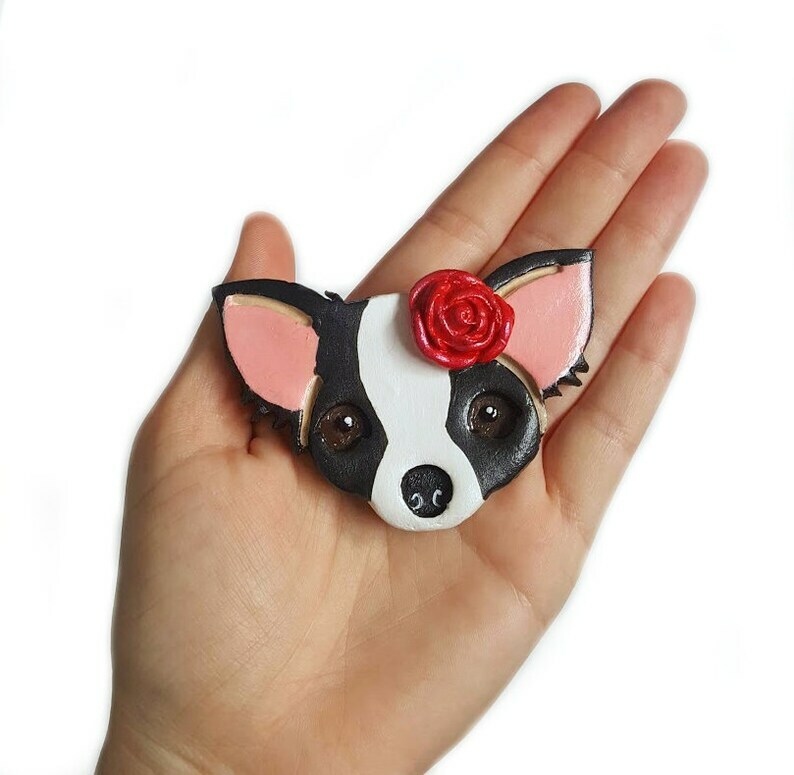 Adorned with a large Spanish-style rose, this black and white long hair chi is the perfect Spring addition to any dog lover's kitchen decor! 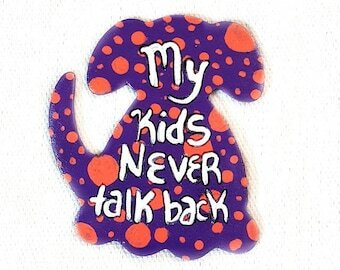 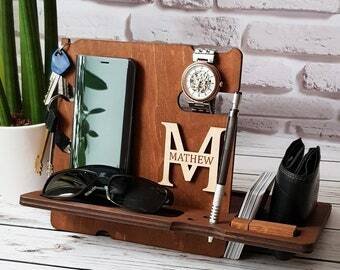 It is approximately 3" x 2" large and has a 3/4" button magnet securely affixed to the back.